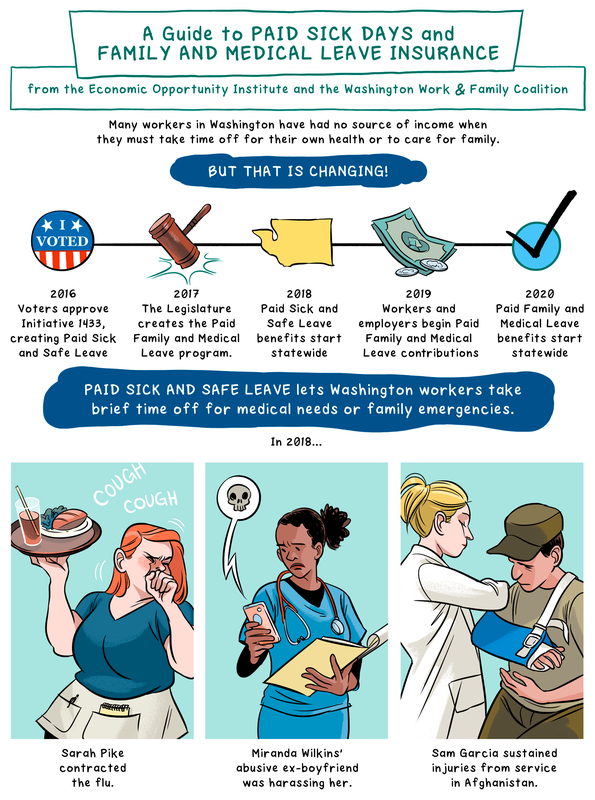 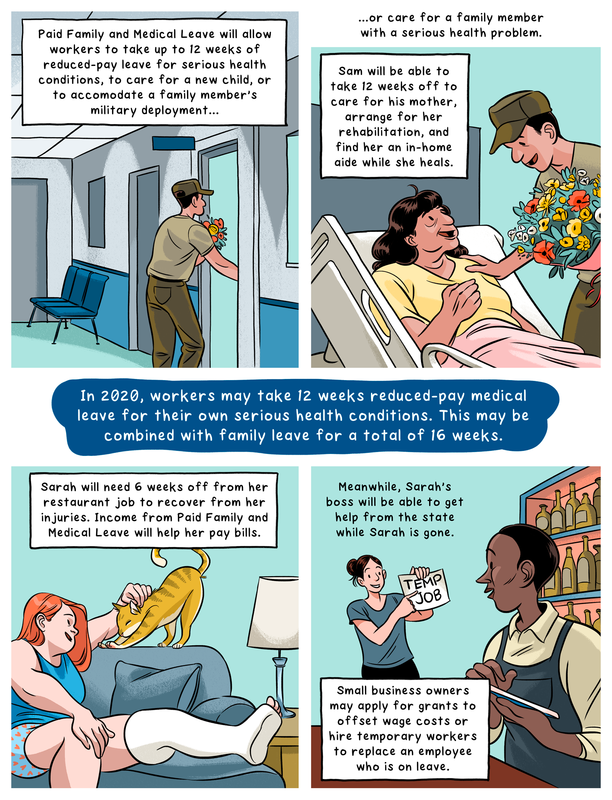 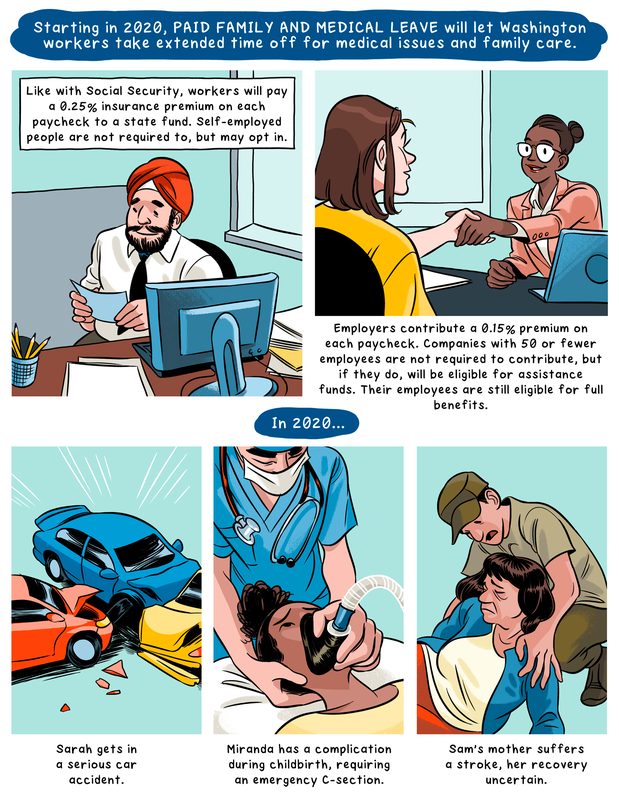 This comic is a brief, easy-to-read illustration of paid sick days and paid family and medical leave, two new programs to help Washington workers balance family, health and their jobs. 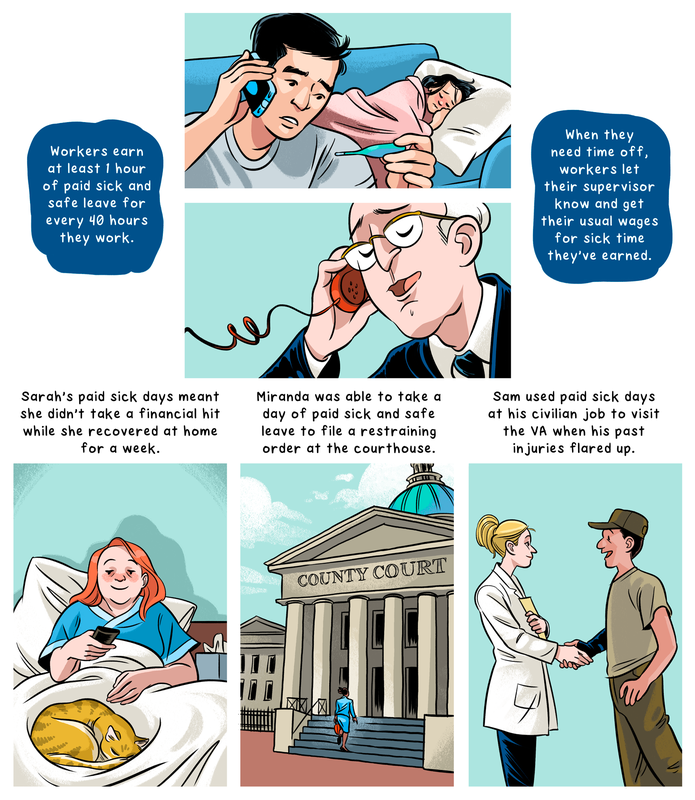 More detailed information can be found at the Department of Labor and Industries for paid sick days and the Employment Security Department for paid family and medical leave. 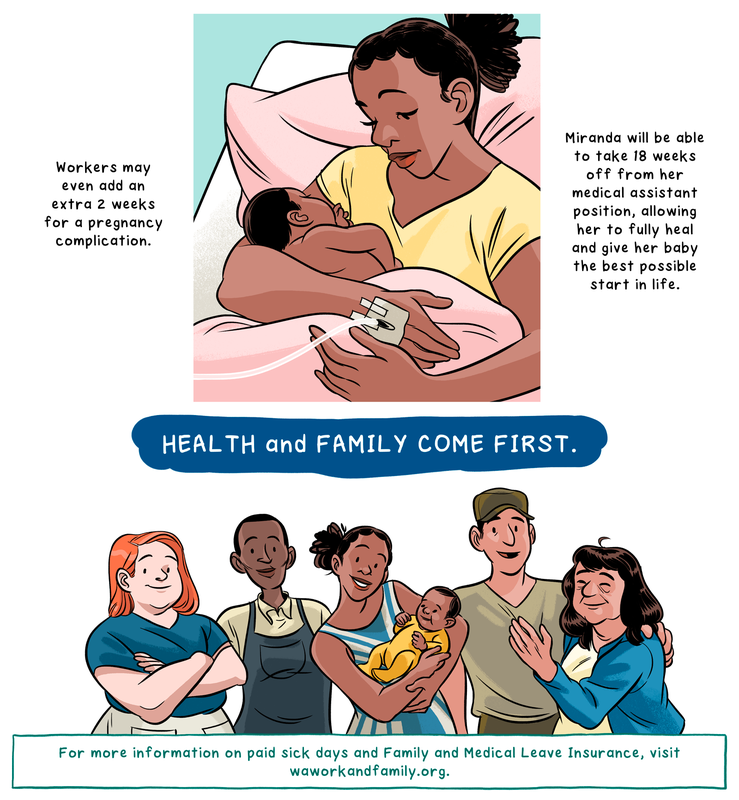 Illustration by Ellen T. Crenshaw.